Nintendo's experiment in mascot fisticuffs may have begun as a small Nintendo 64 game, but it's transformed into one of the storied company's most important franchises of all. 'Super Smash Bros.' begins its fourth cycle not on the struggling home console, but on the thriving portable device. 'Super Smash Bros. for 3DS,' if unimaginatively named, reaches back into as many corners of the Nintendo vault as it can, pulling out newcomers the likes of Little Mac from 'Punch-Out' and Rosalina, the ethereal queen of Mario's universe. 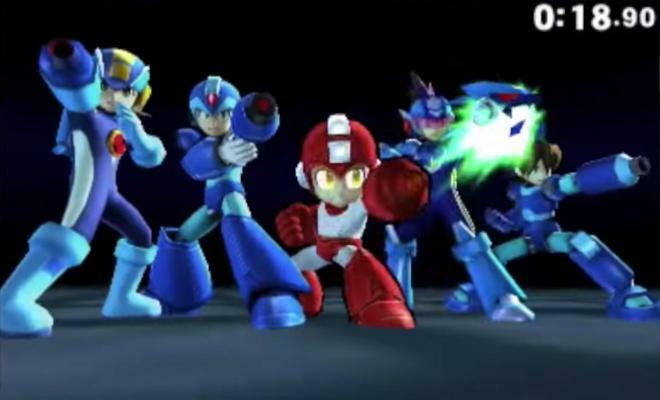 Even third-party icons Pac-Man and Mega-Man join the fray. But those are just names on a list. Now it's time to find out if that list makes a roster, and that roster makes a game, deserving of the 'Super Smash Bros.' name. Pikachu will catapult into the ceiling, and Mario will taunt the little yellow mouse as it happens. 'Super Smash Bros.' has most definitely returned, simultaneously bigger and smaller than it's ever been. Some might consider 'Super Smash Bros.' for 3DS a mere precursor to the doubtlessly boisterous Wii U release later this year, but with a fighter roster identical to the Wii U version and a treasure trove of modes and unlockables, it's clear Nintendo's put everything it can into a 3DS cartridge. But where to start? The micro-sized brawling spree packs a conundrum of options, from the many single-player modes to the surprisingly robust online-multiplayer offerings. Should I delve into Classic mode to unlock those final 12 fighters? Or jump straight online and test those skills against the army of players awaiting the opportunity for defeat? These are just the kind of choices that are nice to have when sifting through the latest release in a long-tenured series. 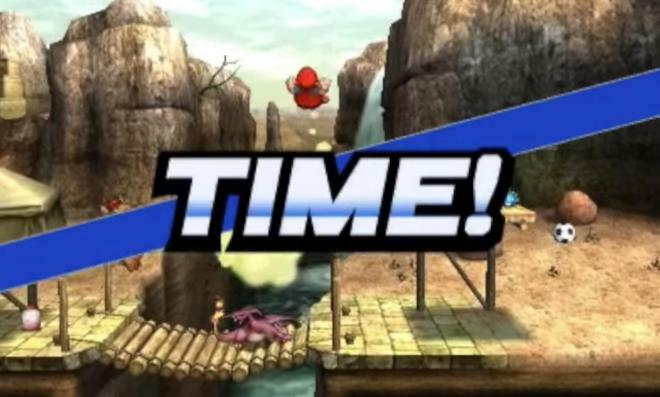 Before anything else, it's important to recall the feel of 'Smash Bros.' It's intact. If you know what that means already, then the next couple paragraphs will feel a bit like coming home. Unlike other fighting games, Nintendo's mascot spree, in any of its incarnations, doesn't take hours of practice to feel formidable. This is the 'Super Smash Bros.' spirit, and it's as strong and vibrant as it's ever been. The simplicity of the controls, where directional and neutral A and B attacks separate each fighter, yet still allow intuitive access to the best parts of those fighters from the word go. Those controls translate wonderfully onto the 3DS. That little thumb-nub is surprisingly precise, though a little prone to slippage after a couple hours of play (that's sweat I'm talking about). Scoring a point or knocking an opponent's stock down isn't achieved by pecking at a health bar. Instead, hits build up a visible percentage number (0% - 500%+). Build up an opponent's percentage, thus becoming more and more vulnerable to the knockback of stronger attacks. Knock him or her far enough to delight in the resulting death explosion off the border of the screen. Point scored. Foregoing the prolonged combo-strings popularized elsewhere, embracing wide-open spaces and an emphasis on spatial navigation, the tightest battles become a dance of precision and prediction, trying to edge in that precious hit and maybe start a string of aerial juggles for extra damage. Expanded to four-player free-for-alls, it becomes a maniacal kill-a-thon, in a very, very good way. Then throw in items and wildly diverse stages and the effect is drastic. The controlled chaos is strong with this one. Of course, it's all about the man, woman or beast under your control, those fighters so teasingly glimpsed time and time again approaching the game's final release. The roster is huge, bigger than it's ever been, and more diverse too, save for the extraneous clone here or there. The final number, secret characters and not, rests at 49. To acclimate with whatever changes occurred to the formula, I went with Olimar and his loyal pikmin to start. It's part of the charm of 'Super Smash Bros.' that I can rip a character from one of my favorite Nintendo franchises out of his or her game and start wailing on Mario or Peach. As I did on the Wii's 'Super Smash Bros. Brawl,' I take delight in the flinging of pikmin about the battlefield, the tragedy of their suicidal, short lives replicated to disarming effect. Olimar is a bit of a strange fighter, heavily reliant on the constant plucking and tossing of his little friends, only now he's been nerfed, down to three active pikmin at a time from the previous six. Despite continued efficacy on the battlefield, I moved on to someone new, a Pokemon named Greninja. The game's famed director, Masahiro Sakurai, went on record saying this installment of the franchise falls somewhere between the swift 'Melee' and paced-out 'Brawl' in speed. That's his attempt to marry the competitive popularity of the GameCube installment with the extreme wide-appeal of the Wii's. It's occurred to me since booting up the 3DS version that attaining this balance isn't a simple act of averaging out some magical speed meter, but balancing the roster in such a way as to appease fans of both styles while maintaining viable competition between fighters that might fall on either side. Olimar floats softly through the air, strongly defensive yet capable of a quick maneuver from time to time. He represents 'Brawl.' Greninja, on the other hand, is borne of 'Melee's' intensity, and I remember why that game stays so competitive even today. He's lightning, a teleporting blur of jabs and dashes, and yet still vulnerable to those pikmin. It's impossible to tell so early in the game's life, especially as we await the Wii U release, but the roster feels balanced and robust. Olimar and Greninja represent two extremes, though it's not a straight spectrum of attribute, rather some kind of multi-pointed shape with a black hole of perfection in the middle. There are the lugging heavies - Bowser, Kind Dedede or Ganondorf - in one corner, able to take quite a few hits and rack up 125% of damage before feeling vulnerable, and then there are the odd-ball types, those that live in the mid-range with a collection of defensive and offensive moves. I'm talking Mega-Man with his blaster, Pac-Man with his old-school dashing attacks and Rosalina, able to project her Luma buddy and fight on two fronts. And it never feels like the game is simply filling in expected fighter-roster spots, instead creating new corners of the spectrum-shape-thing, opening up room for personalized style, unique victory. As with any fighting game, it's the depth of these characters, of which there is a fruitful labyrinth, that ticks on in the brain when finally the will to take a break arises. Of the many things you can do with those characters, though, the options are aplenty. Single-player modes Classic and All-Star return, the former the closest thing the game gets to a campaign. It's the route to unlocking new characters, so in that way it's compelling. Otherwise, when simply inclined to fight against the computer, simply hitting the giant "Smash" button on the opening menu creates a customized fight. Far more immediate to the 'Smash' formula is multiplayer, but of course nobody's sharing a screen on the 3DS. Up to four people can engage in local wireless play in anything from timed or stock, team or individual matches. Right now, these matches suffer occasional, unexplained lag, but it's infrequent. Online, granted you have up to three friends ready to go, you can set up any kind of match you want too. That much is present. The randomized matchmaking is where things get interesting. It's split in half. On one side, "For Fun," stats aren't counted and every match is score-based (add a point for a kill, take one off for a death) on a two-minute timer. Most every item and stage is in rotation. Choose 2v2 or free-for-all. It's light-hearted and crazy, exactly the kind of 'Smash' I like to wind down on. On the other side is "For Glory," where all items are stripped away and you only ever play on the flat "Final Destination" variants of every stage. The 1v1 battles here are perfect, giving each player two lives (stock-based) and a five-minute timer to win. Competition thrives here. Unfortunately, the free-for-all and 2v2 "For Glory" modes are still score-based, rather than stock-based, pretty much eschewing any sense of real competition about them. Score-based matches, while perfectly serviceable in "For Fun," depend too heavily on who gets that last shot in, thus earning a point, than which player is the most skillful. Stranger still is the total lack of a visible ranking in "For Glory," though I'm certain Nintendo has implemented some kind of ranking system to make for truly competitive matches. They only need to show it, to give the player an idea of where he or she stands. That is kind of the point, after all, of ranked multiplayer modes. This is a small gripe. Online matches suffer intermittent lag as well, though at least that makes sense. I'd say in my first 100 matches, one in every 15 really hit an unplayable level of latency disruption. Most of the time, though, I was content with the quality of the netcode. Roster characters all run at a 60 frames per second, while any kind of secondary actor on the battlefield (pikmin, items, etc.) is cut down to half that for the sake of performance. Amazingly, the action is never anything less than fluid, though the more the camera zooms out to accommodate more players, the harder it is to make out every nuanced move an opponent might make. This wasn't a problem for me, since the 1v1 matches might be considered "serious" while anything else is in pure fun. The team did throw in a couple of new visual flourishes which help to further exhibit the causal nature of the frenetic action. Red lightning bolts shoot out of a character currently under duress of a massive strike and thick, cartoonish outlines make tracking a whole bunch easier. Also of significance is the franchise's shift toward more charismatic costumes for each character. Bowser Jr. swaps with the Koopalings seen most recently in 'Mario Kart 8,' and the announcer even refers to Larry or Roy by name in the selection screen. Yes, some characters are still plagued with mere color-swaps, but even those seem more varied. In all, the whole game pops with raucous color. Every move in the game seems to have some sort of sound effect coupled with the acting character's particular style of grunt or yelp. Nintendo wouldn't have it any other way, ensuring every single fighter, every item and the score to every stage symphonizes the wonderful event of beating each other up. The 3DS's little speakers somehow capture all that noise and blow it in your face with convincing separation and thud. If I could give this section a 20, I would. As a die-hard 'Super Smash Bros.' addict, I find it impossible to simply put the 3DS down and go do things people with lives do. The 1v1 "For Glory" mode is so perfect, yet so quick, it's just one adrenaline shot after another. And I only feel like I've really cracked open and come to fully understand maybe five characters so far, despite taking control of every one at least once. They're jewels to be siphoned from for their glorious insides. All those single-player modes are just a preparation for the real deal. HD Bonus Content: Any Exclusive Goodies in There? Smash Run is the only blatantly new mode, displayed prominently on the front menu. You're given five minutes to traverse a rather large dungeon-like stage, reminiscent of the primary campaign in 'Super Smash Bros. Melee,' required to beat up minion enemies and collect stat-boosting power-ups in preparation for a randomized four-player variant. Partake with local friends or AIs. Frankly, it's a bit of a bore, a good idea tarnished by intense repetition and randomization. In Sakurai-tradition, 'Super Smash Bros.' for the 3DS is littered with collectibles earned with gold and in achievement-like fashion. As usual, digital trophies replicating hundreds of figures, locales and items from the Nintendo vault are hidden in every corner of this game, as are the many musical tracks. Finally, buried deep in the menus like bonus nuggets are a couple of mini-games. Multi-Man Smash and Home-Run Contest make their return, while Target Blast is a goofy little 'Angry Birds' rip-off. Kick a bomb into the stack of blocks and watch them tumble, for points! 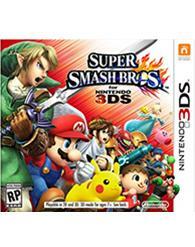 'Super Smash Bros. for 3DS' is all of the 'Super Smash Bros.' we've come to love somehow condensed into portable form. It's all there, it's online, it controls well and the roster is satisfying, deep and skillful. Whatever qualms I may have with the single-player modes (they serve their purpose as training grounds), or quips I may throw at the online offerings, the one thing I can say is this: the game feels good. I feel quick, I feel powerful, yet I feel challenged with every new opponent as we fight "For Glory." It's a testament to the balance at play, between speeds and characters, that I haven't found just one character I can't stand to fight against. There isn't a strategy I don't look forward to countering. And it's a testament to the success of this version that I can overlook the impending availability of the Wii U version in just a month or so. It's been years, but I am once again fulfilled in my smashing needs.